Gears of War 3 won’t make its way to our Xboxes particularly soon, so maybe you’re thinking about revisiting the first two games? Or perhaps you’ve just discovered the glory of Dom and Marcus co-op and you’re wanting to play these for the first time. You just happen to have great timing if either of these cases are true, as the boxed set of Gears of War 1 and Gears of War 2 loaded with extra content will be arriving before too long. Mark your calendars for February 15th and set aside a $29.99 bounty for this bundle pack. 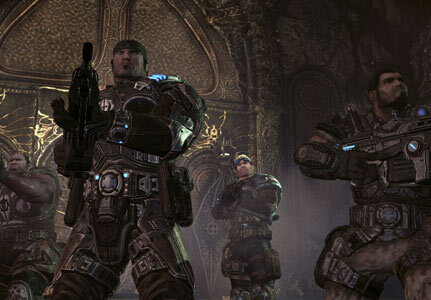 It may not have access to a multiplayer beta for Gears of War 3, but you’ll have plenty of other content as the Gears of War 2 DLC: Road to Ruin is available, as well as 38 multiplayer maps to get your gears on in. So if you haven’t already or just want to revisit, now is a great time to join the Gears co-op campaign and Horde survival mode.